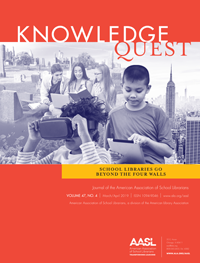 There are many resources about intellectual freedom to keep school librarians informed, but are you familiar with the “Intellectual Freedom News”? 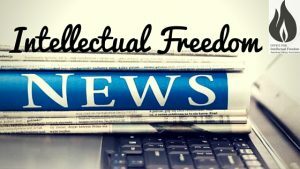 It’s a weekly electronic compilation of intellectual freedom news in a variety of areas produced by interns in the American Library Association Office for Intellectual Freedom (OIF). To learn more about the Intellectual Freedom News, I talked with April Dawkins and Kate Lectenberg (scroll to bios), the OIF interns who are responsible for locating the news and assembling the weekly publication. April is a former high school librarian who is completing a doctorate at the School of Library and Information Science at the University of South Carolina. 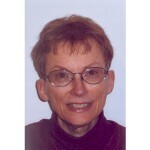 Kate was a high school teacher and school librarian before beginning doctoral studies at the University of Iowa. What are the sources of the news? “Primarily, the news comes from newspapers and online news organizations. Additionally, I look at blogs that are writing about issues related to intellectual freedom” (April). How do you obtain the news stories? Are there criteria for the type of “news” that is gathered? “We include articles posted in traditional print media as well online-only content​ like blogs and websites from individuals or organizations. We do look for a variety of viewpoints and sources, but we’re also careful to verify the credibility of the source. For example, we make sure to include blog posts by individuals with some sort of authority or credential on the topic, and when we see particularly outlier views or stories, we double-check the veracity of the claims. We want a diversity of viewpoints, but we also want to make sure every source is written by an expert. Sometimes that takes a little extra research” (Kate). Are there standard categories of news, or do they change? “The categories can change, but there are several intellectual freedom gold standard topics every week such as censorship, privacy, access, and the catch all ‘Around the Web.’ Recently we’ve had more articles in the ‘First Amendment’ and ‘Academic Freedom’ categories, and unfortunately, the ‘Hate Speech and Libraries’ category is a new one in of our current political climate. We also cover international issues. In short, the topics are flexible based on what’s in the news” (Kate). What happens “behind the scenes” to assemble the weekly news compilation? “When it’s my week, I check my Google alerts every day or two and review the articles that come up. Often a quick scan tells me whether it’s relevant, but sometimes I need to read the whole article to determine the category or to decide whether it should be featured as a highlighted piece. When there are multiple articles on the same topic, we try to find the most local source to cover it, and then we include additional articles that feature different perspectives if it’s a really pressing issue. For example, with the protests over Milo Yiannopoulos’s visit at UC Berkeley, we included a baseline article about the protests and cancelled event, as well as blog posts supporting and critiquing the cancellation or the university’s handling of it. We also included an article about President Trump’s Twitter comments about withholding federal funding because of the violence and perceived limits on free speech” (Kate). “We’re in the process of changing it. The full weekly list of links will now be posted on the Intellectual Freedom Blog, and a shorter list will be emailed out on Friday afternoons. It’s a great compromise to have a quick teaser list of articles in your inbox, along with links to the full list in the blog. The IF Blog also has excellent full posts written by OIF staffers, interns, and other volunteer librarians throughout the country. The blog posts are great deep dives into narrow topics, and they can be great resources for librarians as well” (Kate). 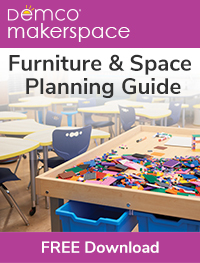 Why should school librarians subscribe to this resource? 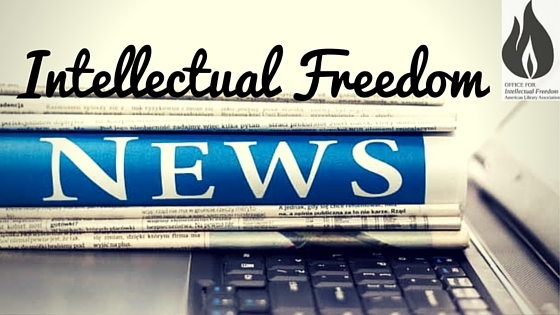 “Intellectual Freedom News is about staying informed about intellectual freedom issues. 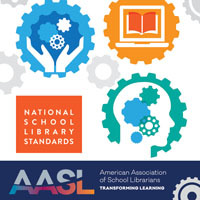 If you want to be aware of the issues facing school libraries and school librarians–censorship, access to information, student privacy, and the First Amendment rights of students–a subscription to IF News is essential reading” (April). If April and Kate have convinced you of the value of the “Intellectual Freedom News,” you can subscribe to this free resource and never miss an issue. Sign up to receive an email version, or subscribe to the OIF blog where IF News is also posted. April Dawkins, email to author, February 9, 2017. Kate Lectenberg, email to author, February 9, 2017. American Library Association. Office of Intellectual Freedom. “Intellectual Freedom News.” Used with permission from the Office for Intellectual Freedom.